A San Francisco Bay Area monument system intended to be launched during Super Bowl 50. Nine columns, one placed in each of the nine counties, together represent the region’s community. 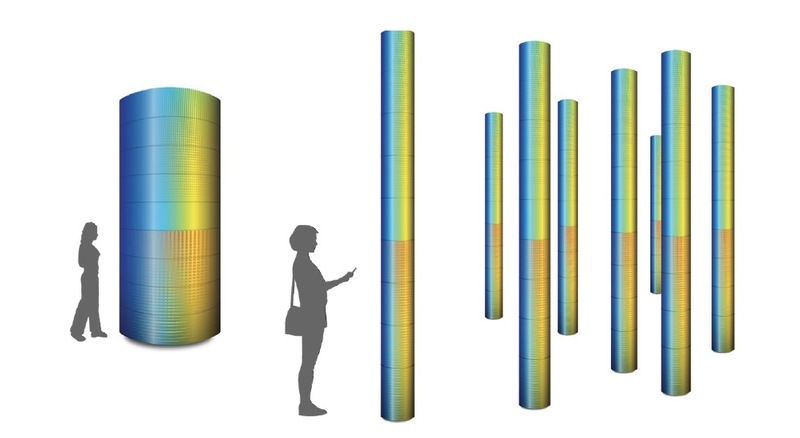 A strategically located main structure functions as a large interactive screen while the others can be seen as “antennas” with minimal displays that can nevertheless receive and send visual signals. Turtle Acre is the development plan of a scalable system of live-work units that are all connected to common areas including kitchen, food processing, laundry, workshop, kids room, guest pods, etc. A Venice Architecture Biennale 2000: an immersed/floating/airborne architecture that relates that relates notions of air, floatation and immersion in the context of the Grand Canal, the Hudson River and the San Francisco Bay. Road House is a concept for the 16 Houses: Designing the Public’s Private House exhibit ~ it is a staging of all that opposes city and home, and parents and children. 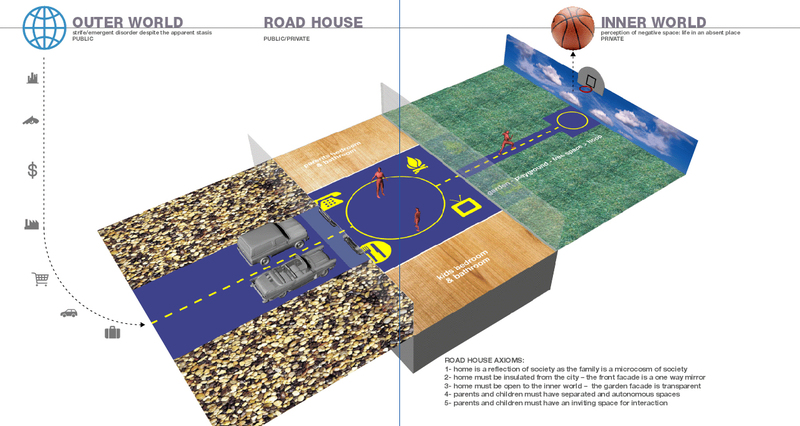 The road is at once connector and divider between people, places and ideas, and between personal basketball hoop and the bigger world.